You are currently browsing the tag archive for the ‘passion for God’ tag. Have you ever been really thirsty, so thirsty in fact, that you began to feel the effects of dehydration. Dehydration can be harmful to the body. The human body can survive for up to 21 days without meaningful food, but only a couple weeks without water. Water is essential for survival. Not just any water will do of course. Water can look crystal clear yet contain harmful bacteria or chemicals that can make one sick, or even lead to death. People learning survival skills know the importance of testing water in a variety of ways to make sure, as much as possible, that the water is safe for human consumption. It’s no surprise to me that Jesus refers to himself as ‘living water’. In John 7:38, he says “Whoever believes in me, as Scripture has said, rivers of living water will flow from within them.” Living water. When I think of living water I think of a rushing stream cascading over a waterfall. Crystal clear. Beautiful, yet powerful. A never ending sign of strength yet in some strange way, serenity. In the physical sense, water is beneficial to the body in many ways. It helps to cleanse your organs. It refreshes you. It gives you strength. It satisfies. In the spiritual sense, a personal relationship with Jesus does the same thing to our souls. In the midst of the wilderness, a refreshing drink of water helps us to carry on. When our souls are in the wilderness, Jesus becomes that source of refreshment that helps us carry on. This living water becomes a source of strength when we don’t think we can carry on. Jesus is the source of purity. There are other religions. There are other philosophies. There are other ways of thinking. But only Jesus offers the guaranteed love and forgiveness of sin that is available through his sacrifice. Water refreshes the body, but Jesus refreshes the soul when you don’t feel you can go on. Is your soul thirsty? Do you long for some relief from the wilderness you are in? We were created in God’s image and the only way to fill the void in our souls is with the living water of his Son, Jesus. Your passions drive your actions. When your actions revolve around yourself, (your own comfort; your own desires; your own strengths) your passions are focused inward and your joy is dependent on fulfilling those passions. When you are passionate about Jesus Christ your joy is not based on yourself but on the realization that Jesus is passionate about you. Your actions are based on Your mutual love for each other. 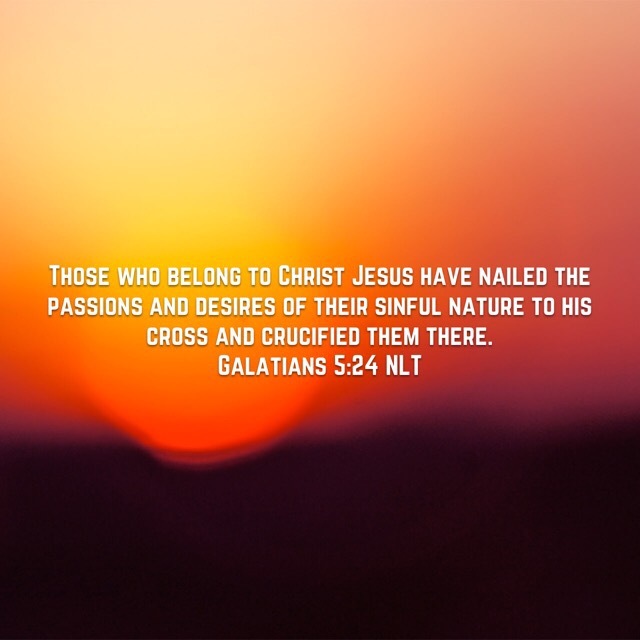 Jesus is passionate about you and he wants you to be passionate about him. That’s why he said if you love me, if you’re passionate about me, If your desire is for me, then you will naturally to have the things that I have promised you.